Eagle Lodge is located in the midst of beech nut ridges, old farm land, old and new choppings, and lots of cedar swamps, which makes for an almost perfect cover for the Whitetail Deer. 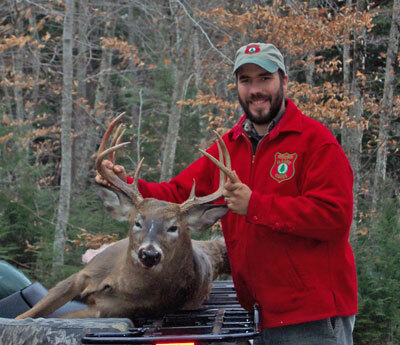 Although the State of Maine does not have the deer population of a lot of other states, 20% of all deer taken are 200 pounds plus - BIG DEER! 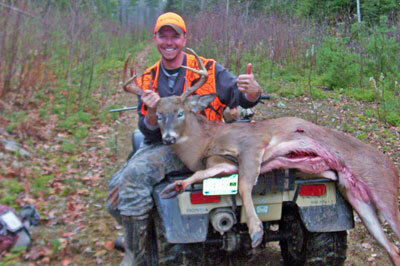 Deer hunting in our county produces some of the state's largest bucks each year. 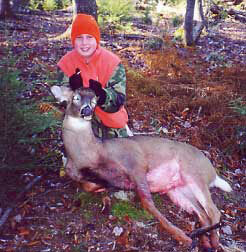 We are surrounded by large tracts of land that doesn't see much hunting pressure. At Eagle Lodge, we offer private waterfront cabins and some of the best home cooked meals in our main lodge. If you choose to do your own cooking, each cabin is fully equipped with pots, pans, dishes, and silverware. Are you looking for a log cabin in the woods but you don't need a guide? 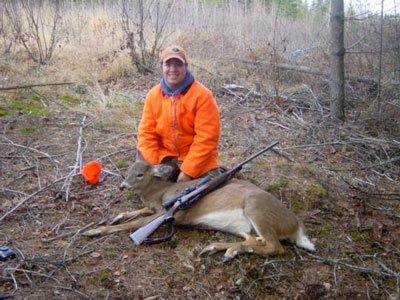 Our unguided hunt is for the person who knows their way around the woods and needs a little information to get started. 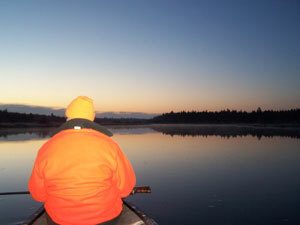 Our unguided hunt includes 3 meals per day and lodging for the week. 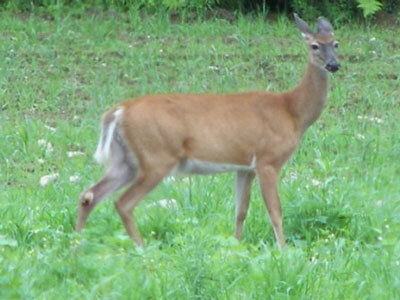 We will also provide an area map as well as information related to deer activity. 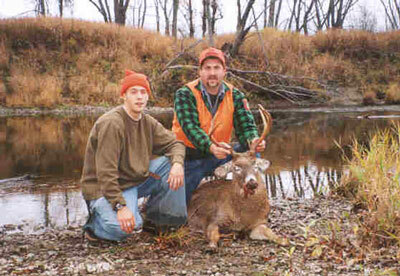 This is a hunt for those that like to venture on their own and hunt at their own pace. If you need help with your game, we are always at your service. If you would like to do the cooking for yourself, the cost would follow our Housekeeping plan rates. 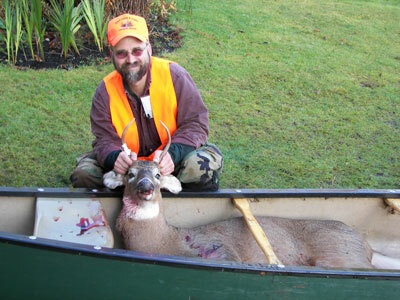 We welcome all hunters whether we cook or you cook! 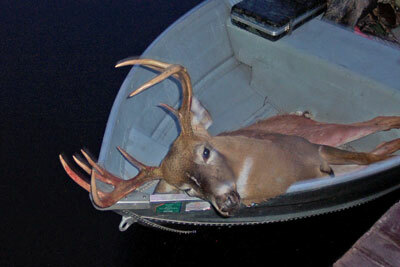 * Remember, the hunt you want to book tomorrow will be the same hunt someone else will book today!